New York burlesque is rowdy, risque fun, but the acts can be nerdy, esoteric, or downright bizarre. I think you√ïll really like it! Everyone in there had a weird pseudonym. I'm Scahffer the Darklord, nice to meet you. I'm just Naomi, I guess. 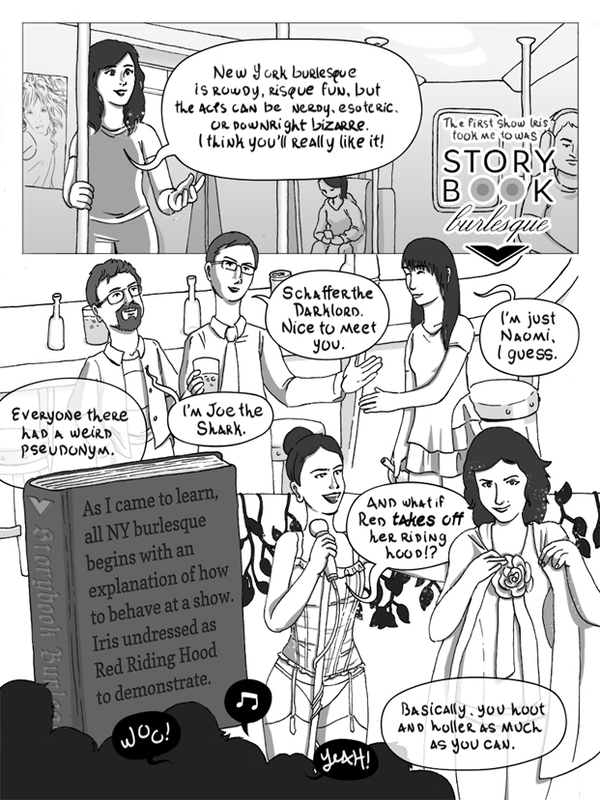 As I came to learn, all NY burlesque begins with an explanation of how to behave at a show. Iris undressed as red-riding hood to demonstrate.